As we celebrate Dr. Martin Luther King Jr. day and all of his groundbreaking accomplishments that he and his team achieved to liberate the black community from segregation, we take a look at the Black Pioneers of the North American Soccer League, written by Patrick Horne and founder of the Brooklyn College Women’s soccer program. We had the opportunity to sit down with Patrick and dig a little deeper to learn more about the book, scheduled to launch in March of 2019, as well as the women’s soccer program. BSMA Media: Patrick, thank you for taking the time out to answer our questions. 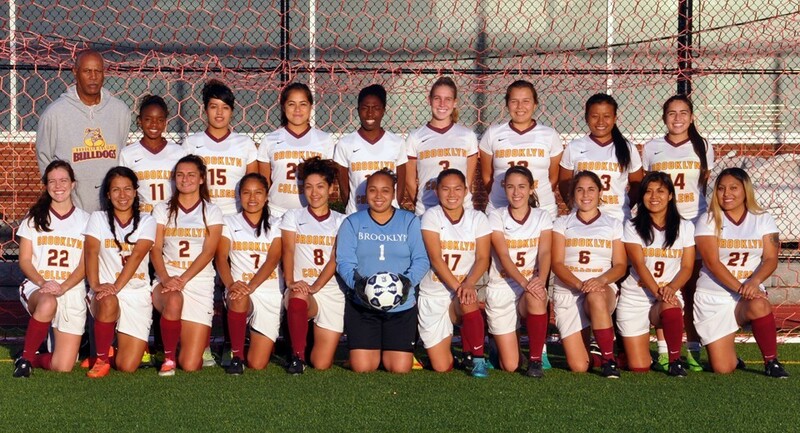 Can you tell us about the Brooklyn College women’s soccer program? PH: After over 30 years of coaching soccer, I started the first ever Brooklyn College women’s soccer team in 2012 and proceeded to win two CUNYAC (City University of New York Athletic Conference) titles (2013-2014), led the team to two undefeated regular season campaigns (2014, 2016), and was Coach of the Year (2013). We fell on hard times the past two seasons, but we are hoping to recapture our winning ways in 2019. Brooklyn is an NCAA Div. III athletic program that gives only academic scholarships, however, it is very inexpensive because it is a New York State institution, subsidized by the city and state, so tuition is $6,000 per year, and for out-of-state/non-citizens it’s $13,000. We have dorms/apartments for students. BSMA Media: How has the game changed from when you were a player in the NASL to now? PH: The game of soccer itself hasn’t changed much, but players’ attitudes toward the game have. The big, fast, strong players of today were always there but today’s game is played faster. Also, because of the commercial aspect, there is more to play for financially, which leads to more player movement and less patience/security for coaches. Years ago, there was more respect for the game by players. Players today forget that they are there also to entertain the fans; today, they go to the ground at the slightest touch (forgetting that soccer is a contact sport) to deceive the refs and get the free kick or to have the opponent charged with a yellow or red card; they reel on the ground in pain for minutes, making a fiasco of the slightest touch, while the fans who paid money to be entertained become impatient and disgusted with having to watch this unfold. They spend too much time on the ground. They must respect the fans more and get on with the game! What compounds the situation is that the players seem to set the standards for refs, who are suckered into the constant deceit. For instance, the same tackle in the penalty area that may result in a penalty kick may go uncalled when it occurs somewhere else on the pitch. Players fall much more frequently in the penalty area and refs seem to feel eventually the whistle must be blown. What will eventually limit some of this player distraction is the VAR (Visual Assistant Referee), which allows referees to review calls, and also the goal line technology; this technology helps soccer; it makes a substantial difference in the today’s game. BSMA Media: How has the game improved? PH: The game in the USA has improved in that the American player has improved a lot since I graduated in 1975-76 and played in the NASL in 1978-79. In the early days of the NASL, only two American players were required on the field at all times and clubs were only obligated to have six American players on the roster which hindered the growth of the American player, but I understand that team had to put out an attractive and exciting product to keep up with the wealthy New York Cosmos. The players are technically and tactically far better now; the American player was always the best athlete and the best worker in CONCACAF. With technical and tactical improvement came confidence. The American Goalkeeper was always one of the best players on the field among the foreign players in NASL. So the game itself hasn’t changed much but players’ approach to playing has. The American/MLS player emerged – through college and club systems- thanks to the standards and coaching set by NASL players, including the black pioneers who were among the first to play in the original NASL. Ironically, black pioneers were among the best players in the NASL, but were the lowest paid (they didn’t come from top clubs in Europe). 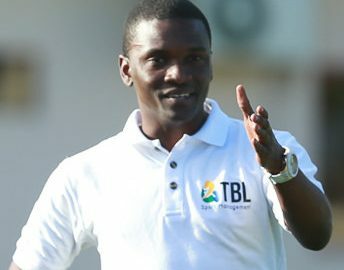 The situation helped clubs survive because they were able to operate with black pioneers who didn’t cost them much, so it accorded clubs some financial stability. As the American players began to hold their own on the pitch, American fans now had players they could identify with, whether they were from one’s alma mater, local club or a connection to the player through ethnicity, race, or culture. The Hispanic community also influenced the game here as good players also helped to create a new soccer culture through the fans. In the original NASL, teams were required to have only two Americans on the pitch at all times, and usually one was a goal keeper, so in many instances only one American was actually playing. This slowed the development of the American player, but the league, nevertheless, was the model for the American. Eventually, by the late 1980s, very good American players emerged. Today’s MLS system, whereby the MLS controls player salaries and player movement is necessary for the development and stability of the game in this new league; the player salary cap helps to curtail overspending and aids financial stability. It shows that MLS learned from the NASL, which went out of business because clubs began freely spending to stay on par with the well-funded, rich New York Cosmos. MLS controls club spending, which you need in a new league in a country where the sport was still very new with much competition with other sports. The MLS has since made massive strides in player and coaching development, marketing the sport, facilities, a US influence in soccer’s governing body FIFA and creating opportunities for the American (now the reverse of the NASL policy is in effect, as a limited number of foreign players are allowed on each team). ​BSMA Media: Can you tell us a bit about the book and what you hope readers will learn from it? PH: The Black Pioneers of the North American Soccer League (1968-84) is a record and a tribute to the contributions of black players to the development of the game in North America. As we know, black history is under-reported, but history must record everyone/entity who played a part in the development the game here; the black pioneers’ role must be acknowledge the world over. The book presents the case for the black pioneers, so that we are recognized when the history books are written. We must take our seats at the table when American soccer history is served up. It would be unfair and a gross misrepresentation of the story of the development of the game here if the chapter on black players’ role is left out. Pele must be given the most credit, but he could not have done it alone. Present and future black players, administrators and the black community at large must know the role of the black player in American soccer development and be motivated and be proud of it. We must continue to impact the game as soccer grows so rapidly in the country, and the book informs America of our significant contributions in the development process. The book will motivate movers in soccer here and generate ideas for the future. The book is an official record of the black player’s contribution to American soccer. Black people must realize a sense of ownership in American soccer! We must be reflected as pioneers in this new American game as it unfolds. BSMA Media: You played in the NASL as well in the 1970s, in your mind who do you believe were the most instrumental black players in shaping the league? PH: There are so many players who played significant roles: Pele of course, the greatest to play the game, as he gave the NASL and Soccer in North America instant credibility, other great players came because Pele came. Lincoln Phillips came in 1967, before the NASL started and contributed to the American game on just about every level from professional player-coach, college coach, USA national team coach, lecturer, clinician, youth development, Steve David, 100 goals in 175 games and one of only two players to lead the league in scoring multiple times, and an NASL MVP; Leroy DeLeon and his longevity playing 11 seasons from 14, and now seeing one of his youth players become MLS Coach of the Year, DeLeon’s son played many seasons for DC United and now plays for Toronto FC in MLS; Art Welch, playing 11 seasons from 14 while maintaining a high standard; Kasizer Motaung from South Africa, who was the first NASL Rookie-of-the-Year and led Atlanta to the first NASL championship; Randy Horton, first NASL MVP; Clyde Best who survived racism in England in the late ’60s and fought against this social malady throughout his career in England, he represented our strength against racism, just like the many NASL South African players; Ade Coker, Nigerian-born from England, and Warren Archibald, and NASL MVP; and the legendary Portuguese Eusebio of course. I could go on, but there are others in the book. BSMA Media: Would you agree that if it weren’t for the NASL that Major League Soccer would not be as successful as it is today? Or are both of the leagues just so different in the way that they operate that there is no comparison? PH: Yes, the NASL influenced the MLS. The NASL experience helped to create the MLS template. The NASL was the first national, outdoor, professional league in the USA and Canada and the first to be recognized by FIFA. Soccer really got started because of the NASL in many ways. The NASL spawned the first American players to command worldwide respect; respected enough to play in Europe. The very first group of these respected players beat Trinidad and Tobago there in 1989, 1-0, to get the USA back to the World Cup after 40 years, and one of the players on that US team was coached by black pioneer Leroy De Leon. Many of the U.S. players of that 1980s era told me that they watched the NASL; some were ball boys at games. The US Goalkeeper, Tony Meola, in the 1994 World Cup when the US reached the second round for the first time, was coached by Lincoln Phillips, who was an assistant coach for the US national team at the time. MLS also did not repeat the NASL mistakes of rapid league expansions by clubs who were spending monies freely with no financial framework, just to keep up with the well-funded Cosmos, which is why the league failed. Both leagues had to be different; they had different roles at different times. They both served the same purpose – the development of American soccer. The NASL laid the groundwork for MLS and in doing so, provided the dos and don’ts for the new MLS. NASL started the player draft. NASL came out of the starting block and ran the first two legs and established a good position for the game; MLS took the baton and is approaching the backstretch. Different strokes for different folks at different times! The leagues had to be different because of the different times that required different approaches: NASL was to get things started to show the beauty and potential of the game, to get the American player hooked on soccer and receptive to learning the game – administrators and fans as well. Most importantly, very, very important – the NASL told the world and FIFA that soccer can be a viable American pastime. So the USA was awarded the 1994 World Cup, then MLS and the sport of soccer was off and running. The game would have eventually come to the USA, but what we do know is that the NASL sped up the arrival of the game here, and in style. NASL and MLS cannot be separated! BSMA Media: Aside from Pele are there any other black NASL players that have been inducted into the National Soccer Hall of Fame in Frisco, TX? If not, then who do you believe is the most worthy, all bias aside? PH: Aside from Pele; South African Ace Ntsoelengoe; Brazilian Carlos Alberto; I believe Eusebio; Joe Gaetjens, the Haitian player who scored for the USA in the 1950 World Cup upset of England; Earnie Stewart, the current manager of the USA men’s national team – all of whom are featured in the book. Future National Soccer Hall of Fame inductees should include Lincoln Phillips, along with the three NASL MVPs: Randy Horton, Steve David and Warren Archibald; Kaizer Motaung, first NASL rookie of the year; and Peruvian legend Nene Cubillas. BSMA Media: When will the book be published online and via print, and where can readers purchase a copy? PH: Black Pioneers of the North American Soccer League (1968-84) will be available in paperback on Amazon.com and Barnes & Noble, in e-book at Google play, iTunes and Barnes & Noble in late March 2019. There will be a book launching in Brooklyn, NY in late February. I will confirm this with specific details in the very near future. BSMA Media: Patrick thank you for taking the time out to answer our questions. We look forward to the release of your book and purchasing many copies. We plan to include a copy of the book in our new membership package. It is vital that our membership know their history. Thank you! 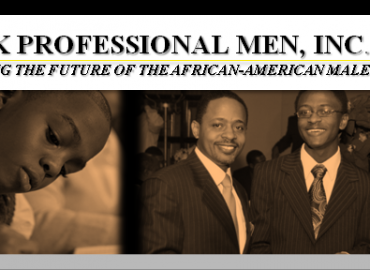 BSMA to partner with Black Professional Men, Inc.